We generally select career based on our dreams/aspiration/personal commitment/ interest and the list may go on and on. As experience says, many students aspire to become engineer to study in a reputed institute followed by fulfilling their dream of developing the next laser,transistor, or vehicle for space travel; or they imagine building companies that capitalize on new engineering capabilities, cure diseases or combat hunger or reduce pollution; making world tallest building or beautiful cities etc. Many students are also motivated by the excitement and beauty of the intellectual world. Is that all leads to a fruitful engineering career? The answer is obviously no. There are much more thinking and logical mapping is required. Are you curious about the natural world? Do you enjoy finding out how things work? Are you consistent about solving problems and puzzles? Have ever thought of creating and building things? Does working with computers excite you? Do you really enjoy studying science and mathematics for stretchable time? These are the most relevant question you must ask yourself. If you answer yes to most of these questions, you may consider engineering as a career. The next emphasis should be what you will be doing being an engineer which would be taking major time in your Adult life. Engineers work in many areas: Aerospace engineering , Computer engineering Electrical and electronic engineering , Industrial engineering , Mechanical engineering , Telecom Engineering, Civil engineering , Metallurgical engineering, Nuclear engineering , Ceramic engineering , Chemical engineering, etc. What kind of engineer could you become? Read more and more about different specialization and what career it leads to. While exploring you will realize, each type of engineering require different king of potential to succeed in learning as well in the career. Every experts and great engineers would agree that you need to possess certain key aptitude combination and traits to become successful engineer. Generally the students get specialization on the basis of the rank in the entrance exam and some specialization also does not offer you the facility of switching to other discipline. But one does have flexibility as high ranker to choose the specialization or when choosing the work and again while selecting post graduation. Thus it is important to know which specialization suits you best-meaning matching to your capabilities and personality and gives also natural path to different post graduation of your choice and leads to a fruitful career path. Thus knowing your aptitude and traits matching to different specialization is essential to lead a meaningful career. Are you a doer? Prefer hands on job immediately. Probably taking right after you finish you graduation is a good idea. After some experience you may think about further education. This is one aspect of managing engineering career. But the students who are serious about the profession and believe in personal benefits or contribution to society needs to think further. One can explore interest approaching the engineering career in three different broad ways. If someone is very much interested in teaching or get into research or big time innovation getting into MTech degree and pursuing PhD would be an excellent path. Remember although the educational path is same, doing research, getting into academics or getting into innovation require different potentials and personality traits. Are you still interested in pure science or any other social science subjects or language etc , you can opt for the post graduation in your choice subject/s. Before choosing, one needs to ensure one has required potential and personality for that or not. Engineering being a versatile profession, one can get into people or organization management, law, civil servant, financial analyst, designing, film and technology. engineering management, entrepreneurship etc one needs to carefully explore and an reliable career assessment and advisory definitely save investment of energy, time and money and help one to design a most suited career path leading to satisfaction, great position and happiness. 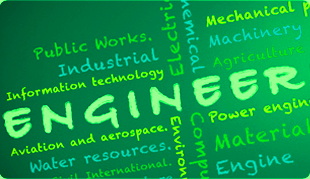 Know whether engineering is the Right Career for you!